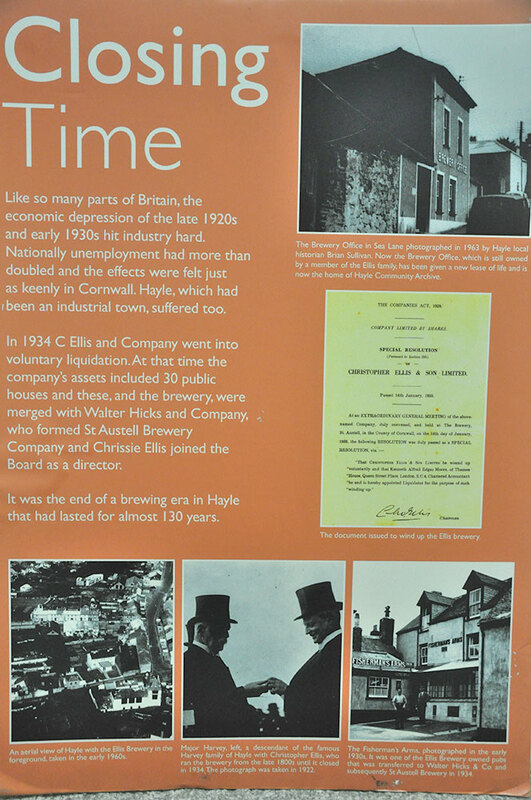 In October 2008, to celebrate the opening of Hayle Community Archive on the same site, the Ellis Exhibition uncovered the history of the Ellis Brewery at the original Brewery Office on Sea Lane. 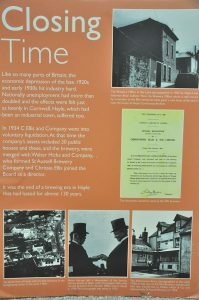 In 1835, Christopher Ellis opened a malt house in Hayle at Bodriggy Farm. 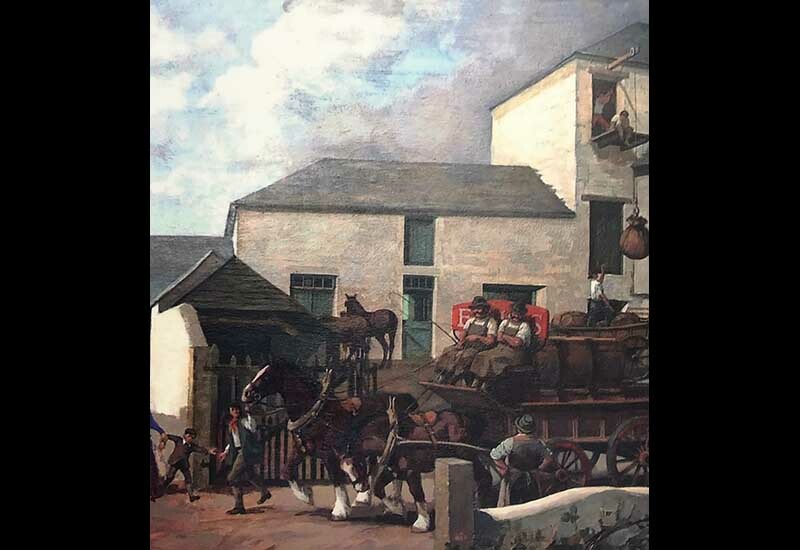 When he died in 1851, the business was left to his son Christopher (II) and his brother John Frederick. 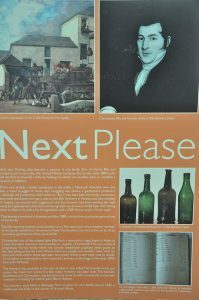 Business prospered and the brewery expanded; the extant pub The Cornubia was built, followed by thirty others in the area, catering for increased trade when Hayle developed as a principal port. To increase efficiency and meet demand, C. Ellis & Son acquired a steam engine from Harvey & Co. 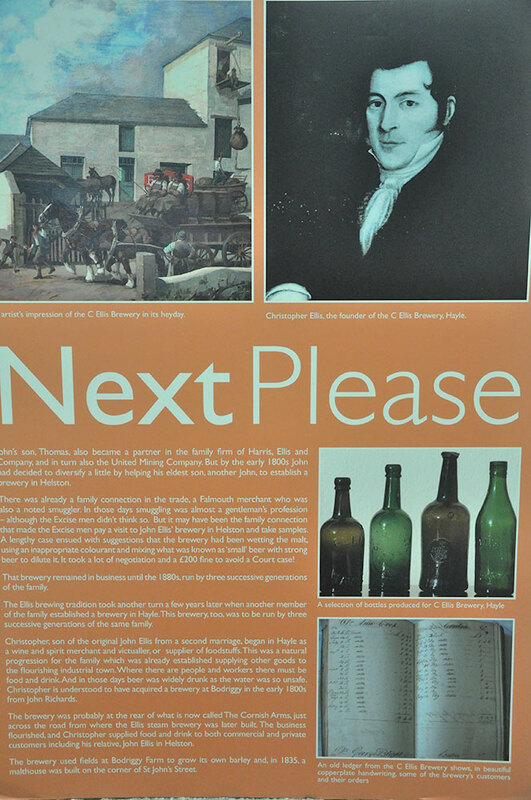 In 1888, Christopher’s eldest son (Christopher III or ‘Chrissie’) took on the business. 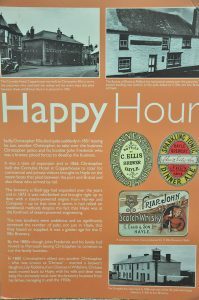 Despite initial success, the business suffered from the economic depression of the late 1920s and early 30s, and in 1934 it went into voluntary liquidation. 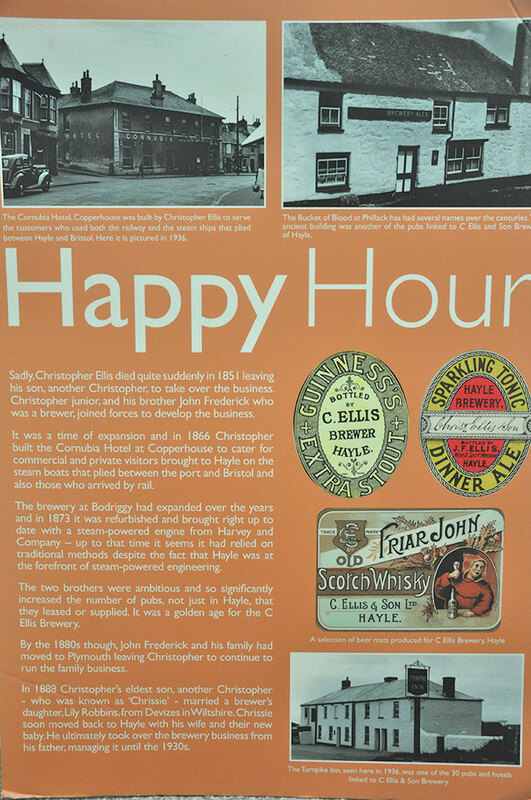 The company and all its assets were officially merged with Walter Hicks & Co. in 1935, who went on to become The St. Austell Brewery. 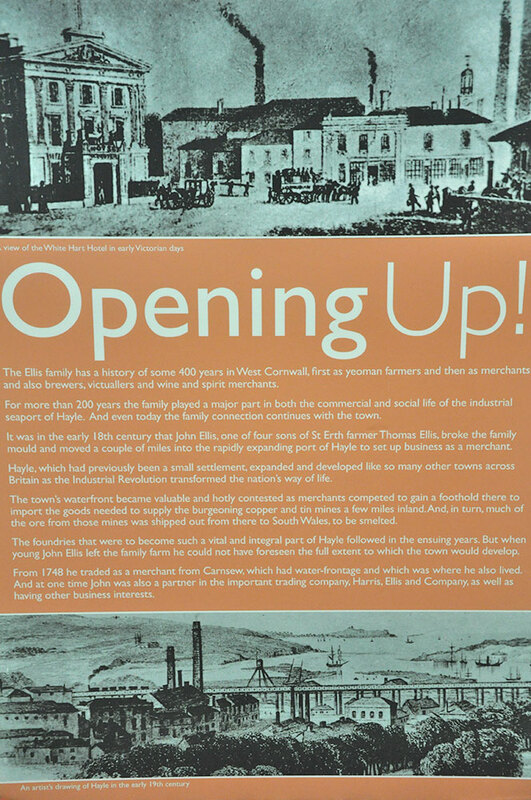 Take a look at the interpretation panels, displayed as part of the exhibition. 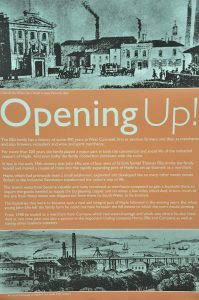 These were written and produced by a team of project volunteers.